Country – this is the most comfortable and cozy style in the interior, which only puts at the top of homeliness and does not accept pathos and glamor. In the translation country is – a village so they create a feeling of comfort, warmth. 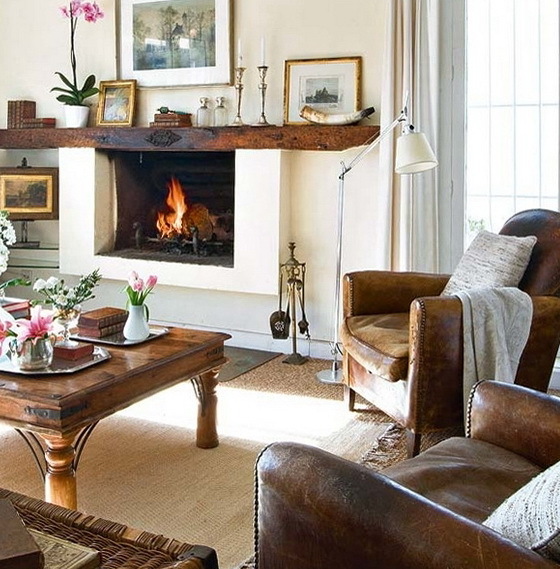 This living room is full of warm colors. It looks very cozy and comfortable. The interior is warm shades involved and natural wood. 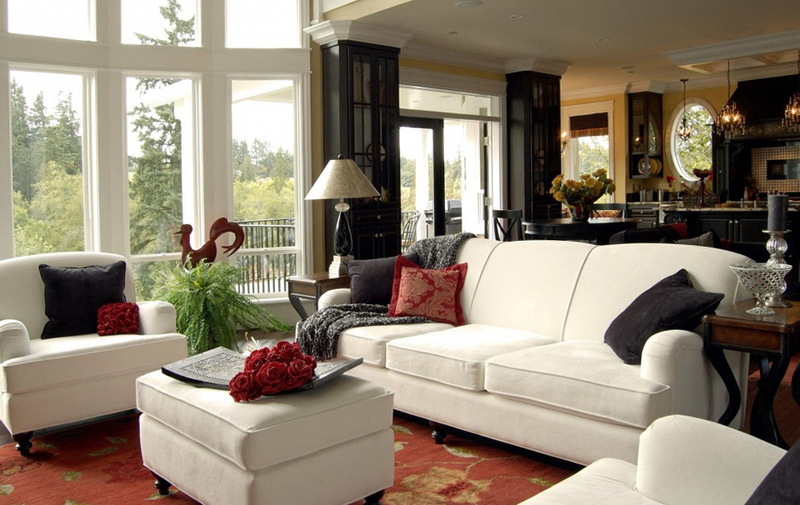 Is calm and beautiful living room with white sofas and chairs all set up for a relaxing vacation with your family. 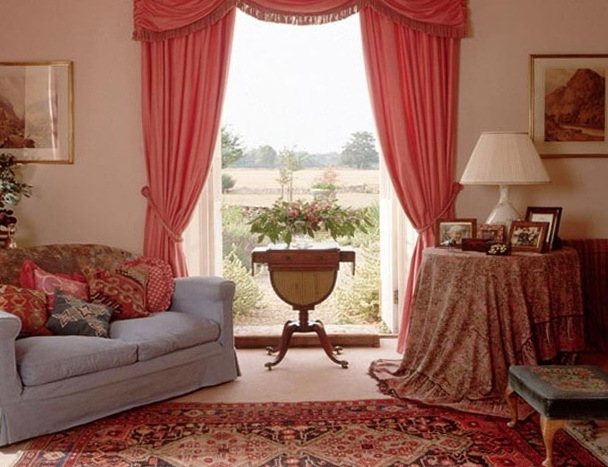 Very stylish living room in country style luxury textiles used, which is used in abundance, plush carpet, decorative pillows. On fabrics used beautiful ornament. In this room used the most neutral colors, black, beige, white and milk. They combine well with each other. 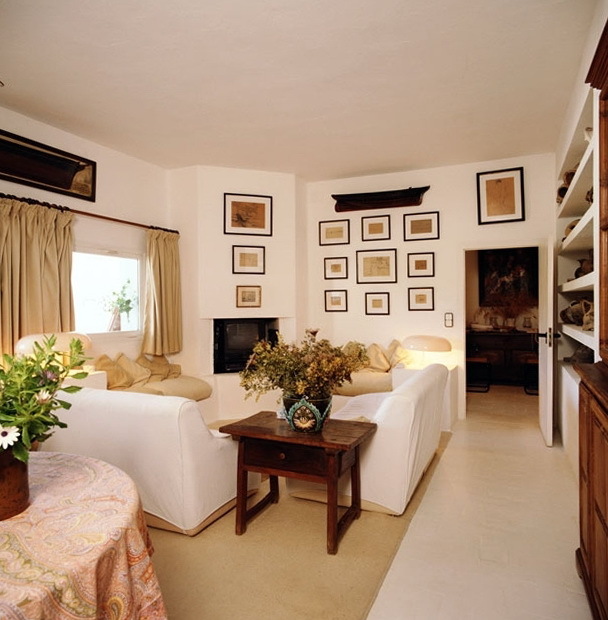 Some of the rooms used by fire, it is one of the important elements in a country style. 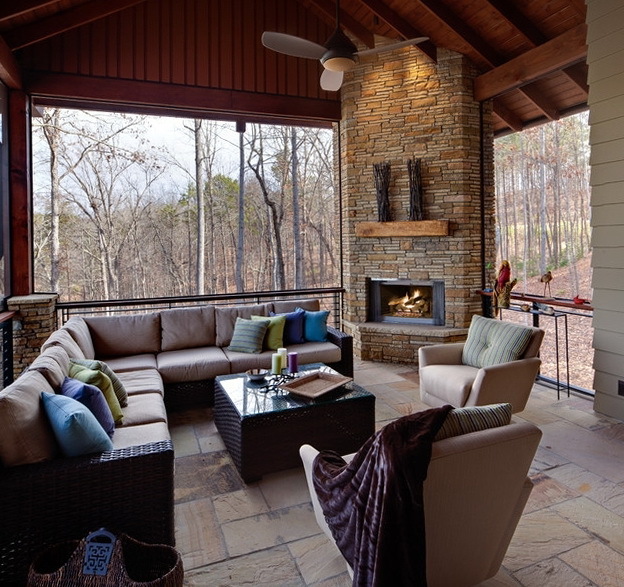 The fireplace can be as artificial and real, the main decorate it properly. 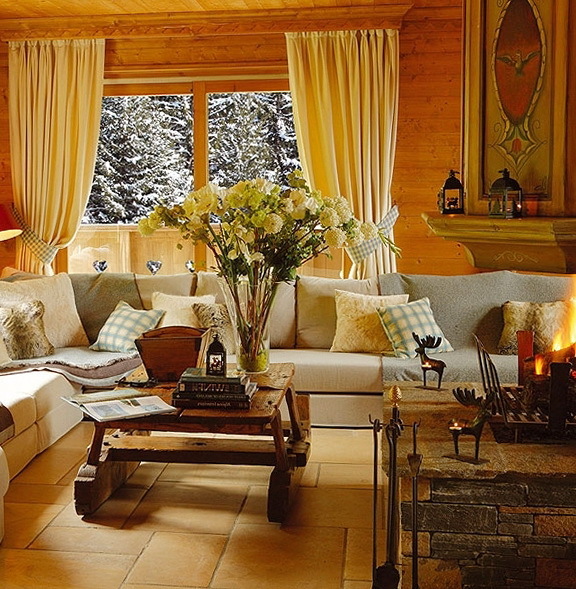 Country chic – interior looks effectively through a snow-white tissue are carpeted on the furniture. A small amount of green plants. Small living room set up for the daily rest, beautiful bookshelves for books, TV, sofa and promotes relaxation. 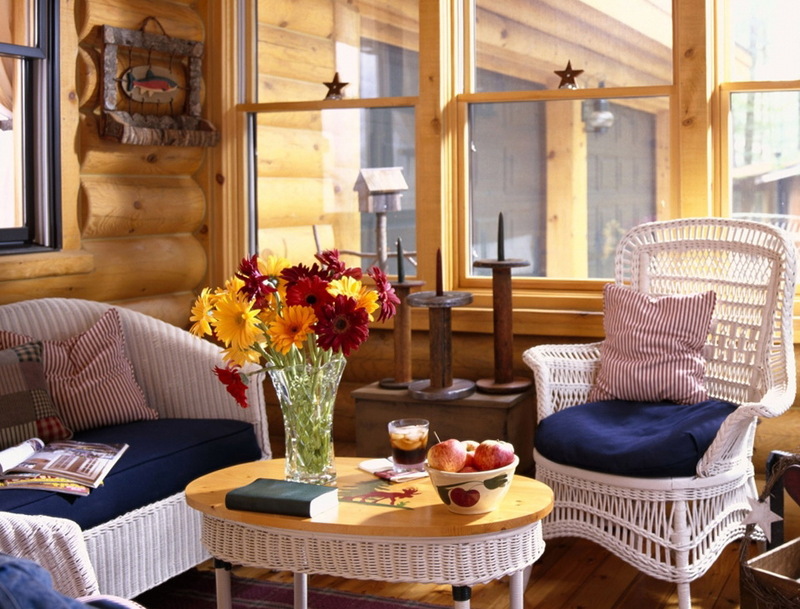 Wicker chairs in the interior look beautiful and perfect and very cute. No plastic and non-natural items only eco-friendly materials. 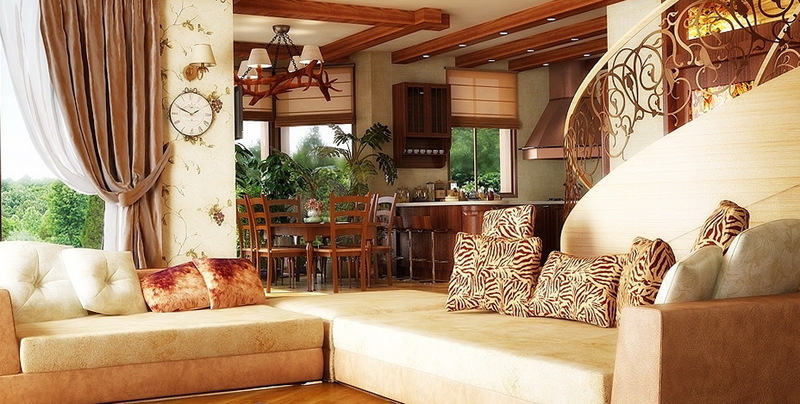 Beautiful and large living room with glass windows, well lets the sun’s rays on sunny days.